Alongside the UK role in Europe, MP’s affairs and the need for jobs, immigration is high on the list of voters’ agendas in the run up to the next general election. Whilst immigration does have connotations of negativity, grouping all immigrants under one umbrella is simply unrealistic and daringly stereotypical. The recent news that the UK Border Agency has a 37 year backlog of 500,000 immigration cases to deal with certainly strikes deep into the wounds of those with the belief that all immigrants are bad news. But that simply isn’t the truth. Around the UK there are hundreds of immigrant families who are determined to work and make a success, providing money for their families, paying their taxes, and ensuring their children have a decent education. Furthermore, as the UK’s ageing population grows bigger, the need for immigrants is also vital. 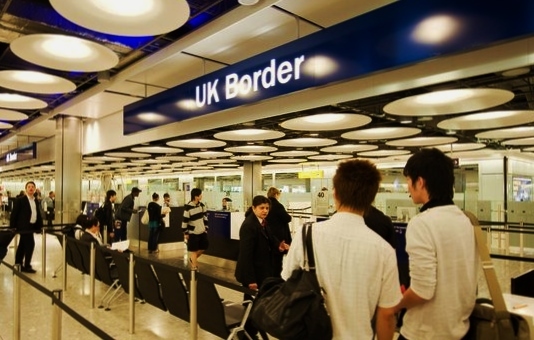 The Office for Budget Responsibility reported that Britain needs 140,000 immigrants per year – equivalent to 6million – to increase the number of people in work and improve public finances. As Britain’s population grows older, the strain on the NHS will inevitably become too much. In order to sustain an already struggling healthcare system, there will need to be tax increases or further public spending cuts totalling £19billion. Granted, some may suggest that the increases in spending for the system is because more immigrants are populating the country. Town populations have risen to bursting points and additional strain on the education, transport and health systems support a developing strain on British services. However, enormous savings can be made from the immigrants who choose to live in the UK. The Prime Minister admitted that “immigration is a constant drain on public services” however commended those who are willing to “work hard”. Whilst it may seem that Mr Cameron is siding with the public on the immigration issue, it is clear that although he promises to reduce immigration numbers to “tens of thousands” (despite the OBR figures) he and fellow ministers recognise that those who come for improved lives should be welcomed with open arms. And so they should be. There is no more positive representation of Britain than a country that others see as having an excellent education system, healthcare system, democracy and so forth. There are, however, groups of immigrants who are a so-called “burden” to society. Stereotypes who migrate from Eastern European countries and elsewhere have been described by some writings as “scrounging” off the tax system. The Spectator outlines that official figures show that less than 14,000 Polish immigrants are claiming unemployment benefit. It is clear. Some immigrants do intend on using the UK benefit system to support families in their native countries, but the mass majority do not wait on the state. Furthermore, an interesting point made by The Spectator ‘s Alex Massie is the news that there has been a rising number of French citizens in London. Evidently, taxes being lower, world class education system and flexible labour markets clearly lead a “superior” option of life than in France. If we can welcome 300,000 French citizens then we can welcome citizens of all nationalities. A recent documentary, fronted by Margaret Mountford and Nick Hewer, delved deep into unemployment in the UK showing how some British citizens are reluctant to work for low pay and in jobs that they perhaps do not wish to complete. Those who have settled in Britain from other countries, including Poland and Romania, are enthusiastic and willing to work for low pay (high in comparison to their own residence), and with the government not needing to spend on offering training, it is a major cost-saving exercise. In whichever news programme you watch or newspaper you read there will always be contrasting views on immigration on what they bring. Whilst The Daily Express and other tabloids provide readings to audiences with the view that everything to do with immigration and that immigrants are the lowest of the low. The truth is, however, immigration is needed to develop UK culture and boost the economy. For instance the new High Speed rail link will inevitably employ many many immigrants as well as home citizens. Why? Years of construction and building a railway line will be difficult, strenuous and involve long and unsocial hours. Workers from other countries will do near enough anything for any money. Official figures are likely to be doctored to provide numerous readings, yet to me immigration shows how the United Kingdom is a country that welcomes people of all nationalities. Perhaps a tangent, but consider Malala Yousafzai, the teenager shot by the Taliban for promoting education and women’s rights. When she was severely injured it was not Pakistan which treated her. The NHS, described as the best healthcare system in the world, welcomed Malala with open arms for intensive treatment and recovery. A story that inspired all who read about it showed how the UK can positively welcome people of other countries to share in the first-rate services the nation offers. Malala has gone on to inspire the globe at the United Nations to promote the need for education in the countries such as Pakistan. All because of the offerings to her from the UK. So whilst not everybody will agree with the need for immigration and views do run high on the issue. But if the country wants to grow and recover from the deficit then I’m afraid it’s those who are willing to work longer hours for little pay. For the same reasons British citizens immigrate around the globe, many come to Great Britain for a new life. A clear reflection on the opportunities and amenities that are accessible. Too much baby TV ? Can May last as PM? Who is an OU active student?